As well as working with some of the largest and most respected heritage digitisation companies in the UK, we also work with local organisations, museums, and individuals looking to preserve a little bit of their history and heritage. So, what can we scan? We have specialised scanners that are able to take high quality scans of books, journals, comics, and magazines. Often rare, old, or historically significant, we take great care with our bound book scanning process, which ensures the safety and health of all books that pass through our hands. With the world now firmly moved into the digital era, more and more people are looking to convert their old photographs to digital files that will last a lifetime. As our scanners can process up to 16,000 high quality scans per hour, scanning large collections of photographs can be both time and financially efficient. 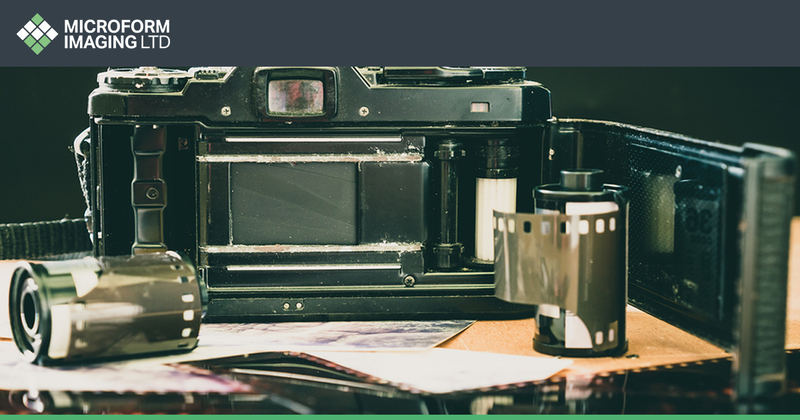 As well as a large array of different photograph types, we also offer a negative film scanning service, which is used by both commercial enterprises and individuals. Like many photographs, negative films can become worn and damaged over time, which is why it is important to protect the images within them. Collection archives often used glass plates throughout the 20th century, which at the time, were great ways of taking photographs. Unfortunately, glass plate photographs aren’t the most durable forms of photography, as they are easily broken or smashed. Many of our clients express great relief and satisfaction once that their plates are safely scanned and returned to them with their digital counterparts. Microfiche, both 35mm and 16mm, have been used for decades for storing large quantities of information, and we have a range of specialised scanners that are able to capture high quality digital images of each micro image contained within a microfiche film. These images can then be handed over and signed off in a variety of formats including on hard drives, USB pens, CDs, and via secure digital transfer. Including maps and architectural plans, our scanners are specially designed for the large format digitisation of AO, A1, A2, and A3 documents. Once sign off is complete, images can then be transferred to our bespoke document management or cloud management systems. By opting for large format digitisation, businesses are able to free up crucial and often expensive storage spaces that once stored large amounts of large format heritage documents. We work with local authorities, museums, heritage centres, and other organisations looking to digitise and preserve historical maps. Taking the greatest care and attention to each and every map that we digitise, we can offer digitisation and preservation services to both organisations and individuals. Once scanning is complete, we can even help store your maps and other documents in bespoke and highly secure storage spaces. There are a wide range of benefits for organisations or individuals looking to scan books, journals, family photographs, negative films, public records, and more. the digital preservation of rare, old, or precious materials and information. the security in knowing that information can be passed along for generations in digital form. the knowledge that files, photographs, and documents can be found within minutes using document management systems. the freeing of physical space once that documents have been scanned. 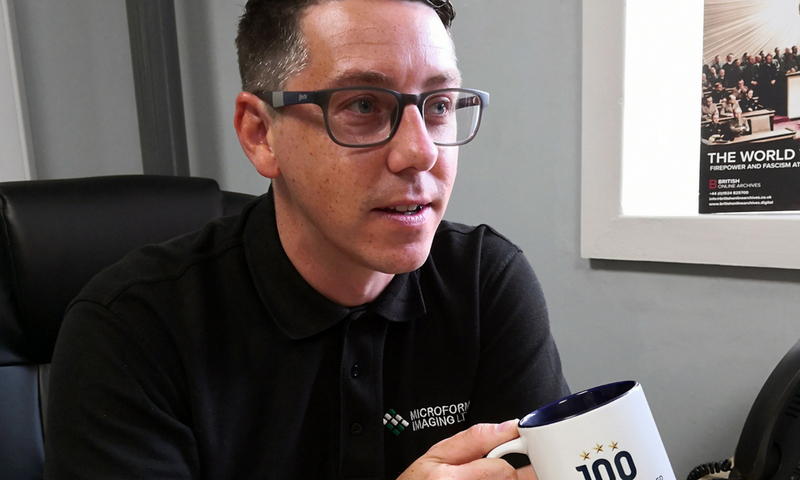 Here at Microform, we have over 50 years’ experience in the scanning industry, and we know just how important it is to preserve private photographs and other documents. Whether for a business, public institution, or an individual, we take the greatest care to ensure the safety and health of every single item that we process for scanning. With private and trackable vans to ensure both pick-up and delivery of all files and scans, our clients know that their documents and photographs are in the very best hands. Once that files arrive at our facilities, each and every document or photograph is safely marked up and prepared for scanning. After the scanning has taken place, the files are then re-checked and the scans are given a thorough and intensive evaluation to ensure that every single scan is as perfect as possible. From here the scans are then converted into the file formats agreed upon by the client or customer. What happens to my documents after scanning? This depends, they can be delivered back to a client after sign-off has taken place, or destroyed and if possible, recycled at our secure onsite facilities. Can I add the files to a public facing document management system? Yes, we have worked with a variety of museums, councils, and universities that offer their scans to the public. Each management system that we employ is totally bespoke for this purpose. How will my physical documents get to Microform? We have our very own marked and tracked vehicles that pick up each and every project that we work on. After scanning has taken place, they are transferred back to the client the very same way. Working with business organisations and individuals, we are trusted by some of the most well-known brands, organisations and public persons, including racing legend, Sir Stirling Moss. What’s more, our services are fully bespoke so that we can dedicate ourselves to every single project we work on so that we can focus ourselves entirely on the task at hand. 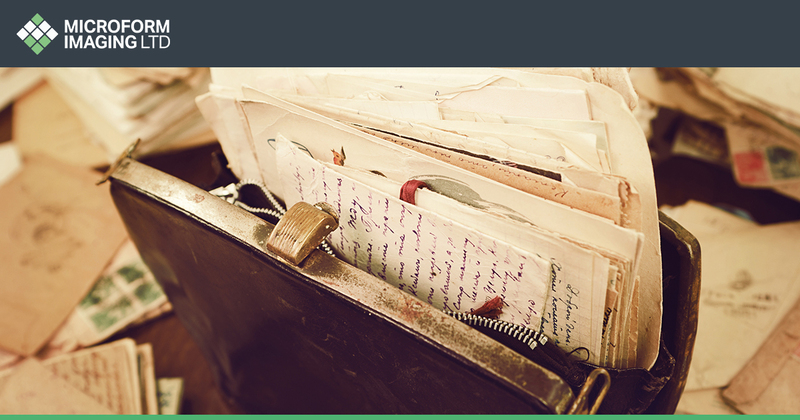 For more information on our heritage scanning services, call us on 01924 825 700 or email us at info@microform.co.uk.